The PG2 mic mount supports microphones with a diameter of 19 - 20mm or 21 - 22.5mm using the supplied interchangeable mounts, and a handy release lever on the mount allows for quick and easy adjustment of the microphone angle. Cable management is an integral design feature of the PG2 pistol grip, with the cable running through the handle assembly to minimize any handling noise or clutter. Additional cable security is provided on either side of the rubber shock mount. 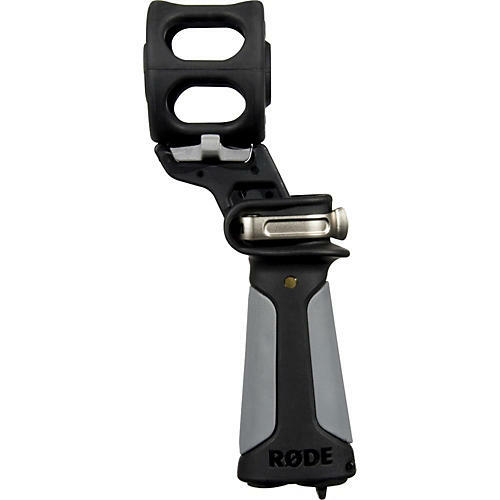 Can be operated by hand or attached to a boompole via the 3/8" thread attachment at the base.